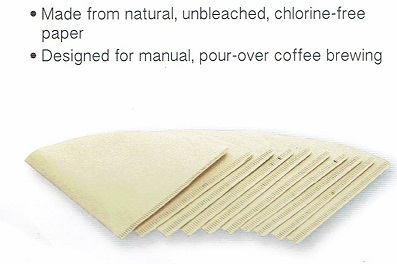 Pour-Over Disposable Coffee Filters #2 Size Unbleached 100/bx. Made from natural, unbleached,chlorine-free paper. Designed for manual, pour-over coffee brewing. to brew 2 to 6 cups. 6 3/4 x 5"